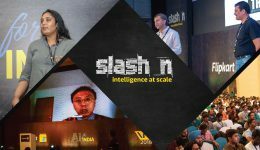 slash n 2019 - Here's a list of 10 talks to look out for! Home Innovation Geek out at Flipkart’s slash n 2019 — 10 tech talks to look out for! Talks, networking, games and fun — there’s no shortage of inspiration for the quintessential tech enthusiast at the annual slash n events. 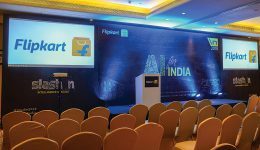 To pique your interest further, here’s a quick glance at what Flipkart’s flagship tech conference has to offer this year. Take a look. 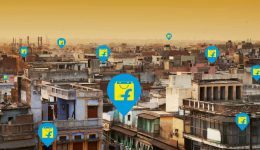 Slash n, Flipkart’s flagship tech conference, is back for its sixth edition, and this year, it is set to be bigger and better than ever. Over 30 tech talks from industry stalwarts, more than 700 delegates and spread out over two whole days — April 4 and 5 — get ready to geek out at slash n 2019. We’ve put together a list of 10 talks you can look forward to at this year’s conference at the Radisson Blu, Marathahalli, Bengaluru. Data Sciences: The new fuel for business and how to make it work for you. Moderated by Mayur Datar, Principal Data Scientist at Flipkart, this slash n 2019 panel discussion aims to explore the possibilities data sciences unlock for businesses, and how businesses can optimize their data to achieve outcomes unique to their key objectives. Having been the chief product person at Aadhaar and also one of the first to work on the Unified Payments Interface (UPI) for India, Sanjay Jain has played a vital role in India’s road to digitization. At slash n 2019, he will elaborate on the journey so far, and the digital levers that will continue to drive India forward. 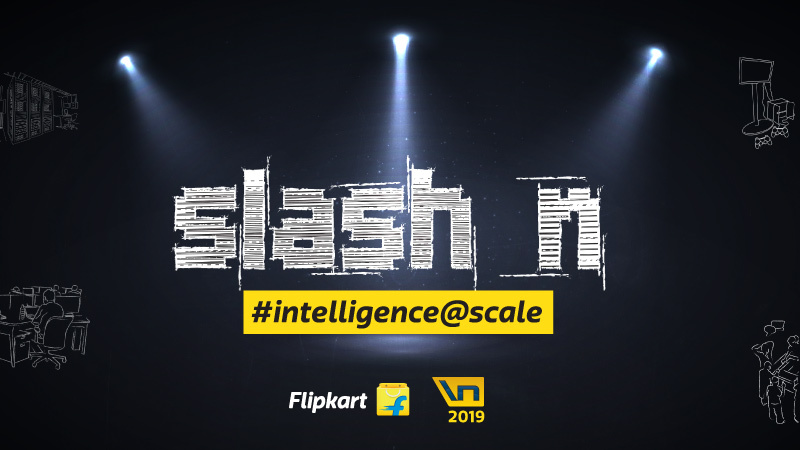 In this slash n 2019 talk, Varada and Romit will elaborate on their use of Ceph storage clusters to keep up with Flipkart’s growing business-critical needs. Under this model, Ceph clusters are federated under a common endpoint with programmable Nginx (LUA Jit + Nginx), which allows for seamless growth of storage for IOPS, capacity, and availability. An online ride-hailing platform achieves order dispatch over a long time interval (e.g., several hours or a day), by both fulfilling current passenger demand and optimizing the anticipated future gain. It relies on a careful modeling of spatiotemporal passenger demand and taxi mobility patterns, as well as sensing and controlling them in real-time environments. In this talk, Gaurav will delve deeper into the specific challenges ride-hailing apps face from an AI/ML standpoint, and the solutions. Polestar is Myntra’s self-serve, event-agnostic analytics platform that analyzes events, user journeys, and provides user insights. It leverages Alluxio with its tiered data caching capability, statistical techniques such as HyperLogLog for faster querying and Presto as a distributed query engine. Polestar also captures the events metadata in its catalog called Blueprint. At slash n 2019, Rijo and Karan will take us through how Polestar helps Myntra with behavioral analysis. Cross-modal retrieval aims to enable a flexible retrieval experience across objects with different modalities (text, images etc.) An example of a cross-modal retrieval task — probably useful in product search — is given a text query, obtaining all semantically similar images from the database (e.g., catalog). In his slash n 2019 talk, Professor Soma Biswas will elaborate on the applications of cross-modal retrieval techniques across use cases. Flipkart’s order capture traffic grows every year and during flash sales, this results in surges of traffic (up to a hundred times more than usual). Conventional system interactions are stressed during such surges, and the customer experience takes a hit. In this talk, Gokul and Srinidhi will explore solutions to the Demand-Supply problem and technical solutions such as call graph optimizations, datastore tuning, circumventing around datastore hot-spotting and the need for rate limits. Online-To-Offline (O2O) business models have led to the emergence of various spatial crowdsourcing (SC) platforms (e.g., Swiggy) in our daily life. A core issue of SC is to assign real-time tasks to suitable crowd workers. At slash n 2019, Dale will discuss the learnings acquired over the course of pioneering hyperlocal delivery in India. Traditional methods of credit assessment have limited coverage and do not address a large section of India’s population. In this talk, Rishabhdhwaj and Kaustav will elaborate on how Fintech at Flipkart derives insights from alternative data sources to unlock access to credit for its users while ensuring the security of their data. Operator nirvana is having apps that can heal themselves, without human intervention — but most SRE teams accept a certain amount of toil as an inevitable part of their lives. This is because some procedures are too risky to automate, too costly to get wrong. How does one ensure that a “self-healing” system does not accidentally shoot itself in the foot while in production? 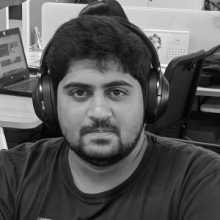 Aaditya takes a deep dive into this challenge at slash n 2019. Looking for something in particular? Visit the official slash n 2019 website for more details on the agenda, speakers, and more! Feeling geeky? Visit Flipkart’s official tech blog for an in-depth look at some of the talks from slash n 2018. Also read: Changing the face of digital India – meet the minds behind Flipkart’s best tech! previous Flipkart ranked No. 1 among LinkedIn Top Companies 2019! Roshan Pai is a writer for Flipkart’s Corporate Communication team, and is also one of the hosts of Flipkart’s official podcast - Studio 34. When he’s not writing or programming podcasts, he likes to indulge in some casual PC gaming, or experience music on one of his many pairs of headphones.